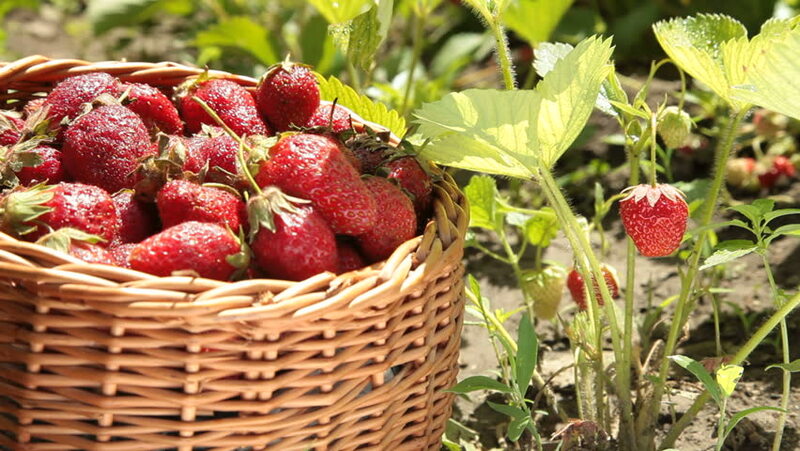 hd00:12Strawberries are harvested from the beds in the garden. Ripe and not ripe berry. Harvesting in the summer.